HUEHUETLAMACHILISTLE, in Nahuatl, is how Semillas refers to Aztec cultural, environmental, historic and cosmic knowledge systems. Huehuetlamachilistle is intended to cut through the blackwaters of euro-centric idealist history over the past five hundred years wherein the perspective of the European is granted the objective all-knowing voice to the detriment of the Indigenous record. More importantly, Huehuetlamachilistle is a regenerative body of knowledge cultivated by Indigenous intellectuals, oral traditions, literatures and various other keepers of wisdom. Huehuetlamachilistle names the cosmovision or as best translated into English the wisdom about the universe and the relations among all that exists within it as experienced over time by Peoples indigenous to North America. Through Huehuetlamachilistle, Semillas is setting an international standard of education for Los Angeles where students strive to become internationally-minded, culturally-sensitive community members. Beyond the minimal standard of instruction, Semillas aims to meet the rigor of internationally recognized rights of children, and Indigenous Peoples as proclaimed by the United Nations through cultural relevance and parental empowerment. Semillas is decisively paving the way for university success on the international stage for students in our communities. 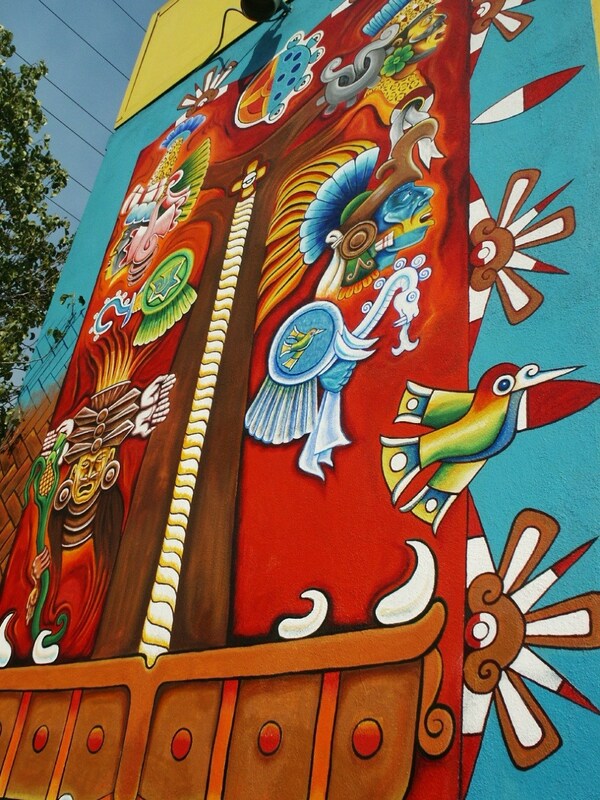 In a city with the largest concentration of Indigenous Peoples in the United States, Semillas is the only school in Los Angeles that teaches an Indigenous language, Nahuatl, which is the most-spoken Indigenous language in the Americas. Yet, this community-based approach to public education is rare in Los Angeles, California. In Community-Based Education for Indigenous Cultures, author David Corson posits that community-based education is a means of combating the tendency of governments to view educational policy and curriculum in terms of the economic market. The author identified exploitative economic social relations as the root of educational failure in modern society, and as the source of alienation in schooling for Native Peoples. Importantly, Corson emphasized that Native Peoples have found that, “community-based education has become central to cultural and linguistic revival”. According to Corson, schools that engaged in community-based education in Native communities organized a collective response to the individual needs of Indigenous students. Most important in community-based education is the process by which schools, such as Semillas, work to engage the community’s wisdom and not simply convey the work of the school to parents. Semillas excels in the practice of community-based education through its governance model and educational practices as well as its high rate of success in parent engagement. Indigenous education that encompasses traditional knowledge, is the foundation of an international education, and draws from the ways of the hundreds of Indigenous Peoples throughout North and South America. In addition to a core expertise on Aztec culture, our educators have learned from the elders and oral traditions of the Haudenosaunee Confederation of Nations, the Zuni Pueblo, the Quiche Maya, and the Inca of Ecuador, all of which have struggled to straddle the challenge of ancient memory and modern reality. Ours is a curriculum that is not limited to the “First World”, but begins with whom we refer to as the First Peoples, our Indigenous nations. Semillas offers a curriculum in Nahuatl language and indigenous culture that includes pedagogy, methodologies, mathematics, social practices and instructional materials. Our students learn to think in Nahuatl, study Native Mexican mathematics, and practice Indigenous visual and performing arts.